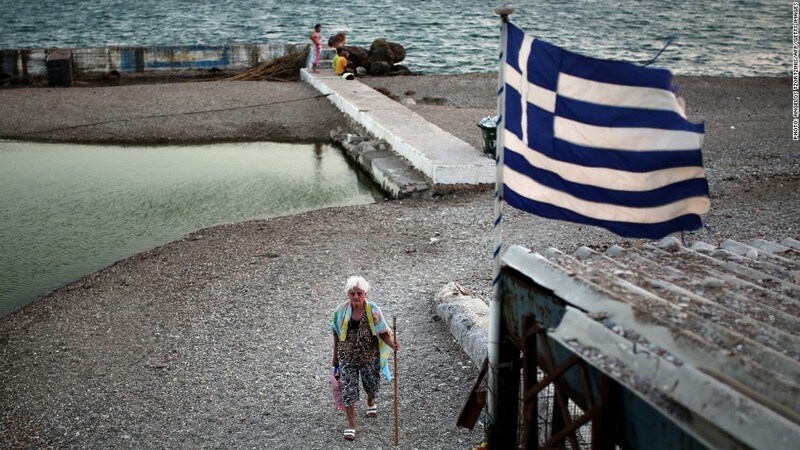 Early elections in Greece could derail the nation's fragile recovery. Greece is digging itself into a hole again. The Greek parliament failed to elect a new president Tuesday, bringing closer the possibility of snap national elections that could hand power to a popular anti-austerity party. The government has one last chance to get its candidate elected by parliament on December 29. If it fails again, it will be forced to hold elections in January. Opinion polls give a clear lead to Syriza, a party that wants to renegotiate the terms of Greece's bailout package -- worth a whopping 240 billion euros ($293 billion) -- with the International Monetary Fund, European Commission and European Central Bank. The party has also vowed to reverse many of the reforms that have helped Greece return to economic growth, and said it plans to introduce billions in spending programs that would hike wages and increase pensions. While Syriza's plans are popular among Greeks who have been hurting from high unemployment and years of recession, experts say they are unrealistic and irresponsible and could trigger a crisis that would ultimately lead to Greece leaving the eurozone. Berenberg economist Holger Schmieding estimates there's a 20% risk that it "all goes wrong," with Syriza rising to power and following through on its plans. "Greece may descend into a new deep crisis with potential euro exit. That is a significant tail risk," he said. The main index in Athens dropped by 2% in reaction to Tuesday's vote. The yield on Greek 10-year government bonds increased to 8.25%. That's up from 7.8% a month ago, reflecting growing concern that Greece may be heading for another debt crisis. Greece's massive bailouts from 2010 and 2012 kept the country afloat and within the eurozone, but left it saddled with a mountain of debt worth about 170% of GDP. Syriza has been softening its tone recently as the chances of an early election rise, saying that it wants to stay in the eurozone. But even if all hell breaks loose, experts think the eurozone is now better placed to cope with another Greek crisis. "The eurozone could probably handle an unlikely but not impossible Greek accident with no more than very limited and temporary damage," Schmieding noted. -- CNN's Elinda Labropoulou in Athens contributed to this report.